Just Gorgeous! This gold chandelier is surrounded on all sides with flowers. 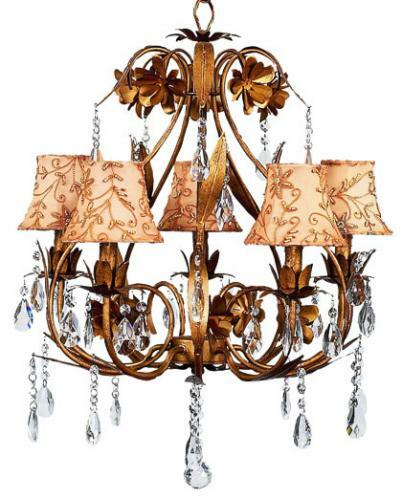 Crystals dangle from every arm and encircle the top of this beautiful chandelier. Ivory daisy shades accent this Jubilee Lighting piece. Please note that the lamp shade is no longer available. You may select from all children's chandelier shades.